Cairo: On the lookout for a BIG hump! 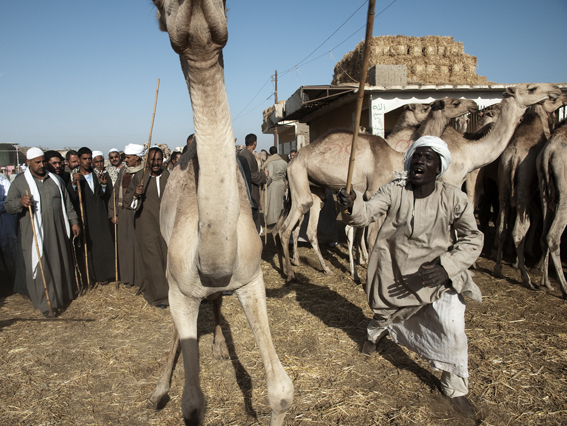 Birqash Camel Market outside Cairo is magic and mayhem in a seemingly uncontrolled chaos. 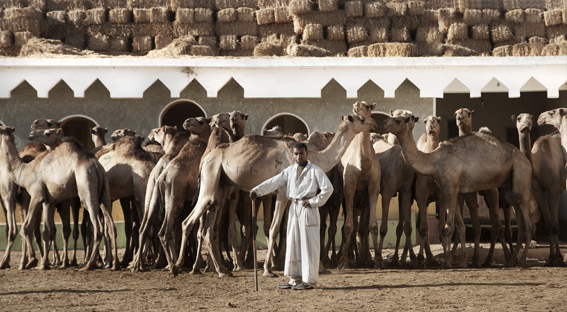 As soon as I stepped off my taxi I knew that the smell of hay and unwashed animals added to the unmistakable sound of regurgitating camels and mad bidding in Arabic would come together as One of those Places. You know, the kind that totally stresses you out whilst you’re there, but that you’re dying to return to once you’ve arrived home. Everywhere around me Egyptian pounds were changing hands quicker than I could cough in order to shift the lingering presence of fine grains of desert sand. There’s absolutely no doubt about it, people are here to do business, like they’ve done for centuries. Small people, barely reaching the camels’ tummies are helping their dads and uncles. They must have done this a thousand times already judging by the ease with which they handle the huge and impatient and ever so slightly nervous animals. I was at the camel market to take pictures for an article. And man, what a place to photograph! Crazy doesn’t quite cover the stamping of hooves, the hectic bidding and the movement of cash, men and beasts. The odd tourist inevitably looks out of place. This is a very real place where camels, mostly from further south on the continent, have their fate sealed. Most will end their life as a burger, others will spend the rest of their lives carrying tourists around the pyramids. Want to go? 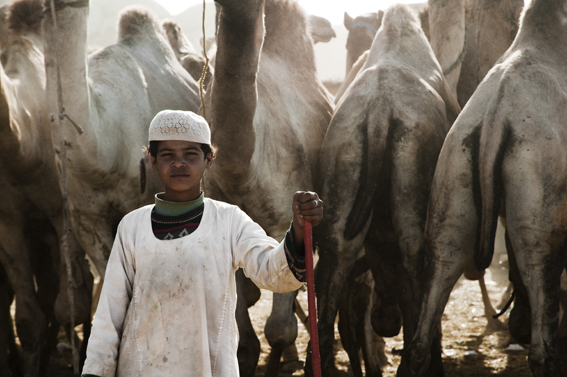 The Birqash Camel Market is located 35 km outside Cairo. 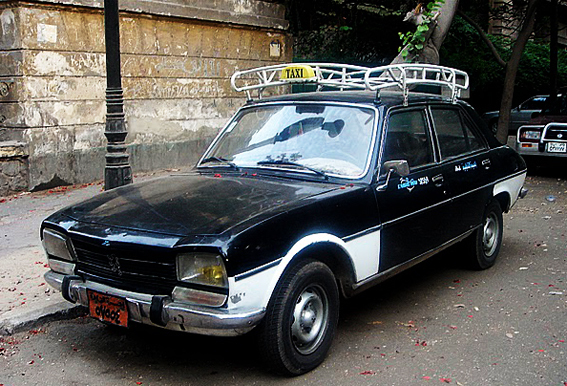 Public transport will get you there for a couple of Egyptian pounds, and I swear I was initially all up for going by bus. 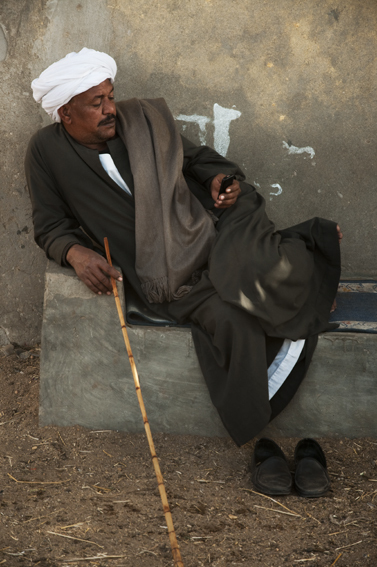 I was even hoping to hook up with someone along the way who was going to buy a camel and whom I could follow around and photograph… However, the intense heat, the early rise (6 a.m) and the thought of frequent bus transfers with my camera bag and tripod in tow put me off. 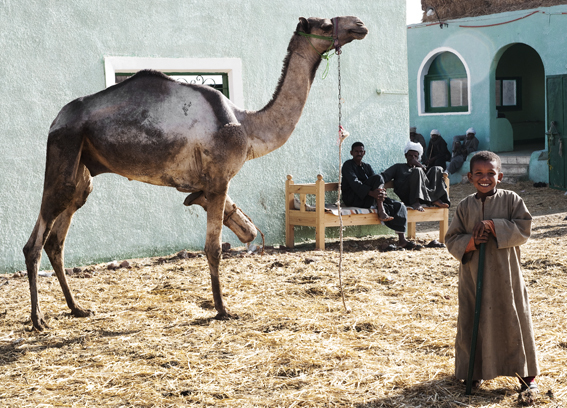 The men at the camel market (there’s no women, except the odd tourist and the woman selling tea), fascinated me. They were all carrying sugar cane sticks which they used to manoeuvre the camels around. I didn’t understand much of the wheelings and dealings, but it became evident that the camels with the biggest hump, the strongest legs and the widest necks were the most sought after. As for the going rate for a camel? I saw camels being sold for as little as 65 Egyptian pounds. These were heading straight to the meat stalls. Others, like the beautiful and very tall Somali camels, would sell for as much as several thousand Egyptian pounds. A beautiful, but sad camel with his front leg toggled. Birqash is definitely a slice of real Egypt. It’s a refreshing place if you’re sick and tired of the hordes of tourists that dominate most other places in and around Cairo. However, prepare for animal cruelty (if that’s possible). 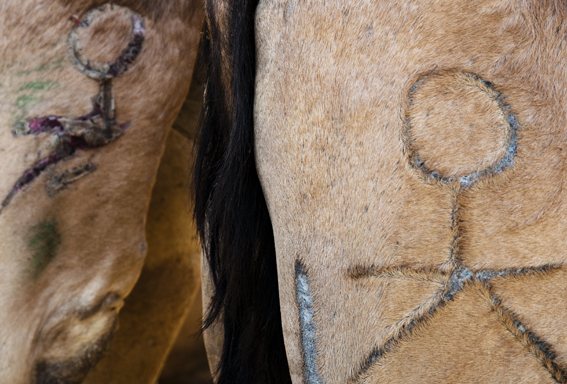 Beatings, branding and a total lack of respect for the camels seem to be the accepted norm. It broke my heart to see the multiple markings on some of the camels, indicating that they’ve passed through the hands of many owners. 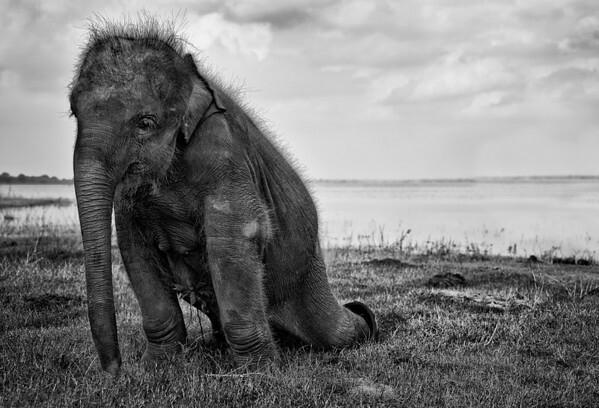 What kind of life is this for an animal that should be roaming the desert plains with its herd? Idealism aside, Birqash made a big impact and is now on my list of One of Those Places. I’m sure it’s on taxi driver Nader’s list too. He was one happy man on our way back to smoggy Cairo. Now that he knows which road to take, he comes highly recommended. Give him a ring on +20 2 0127764423 to book a trip.